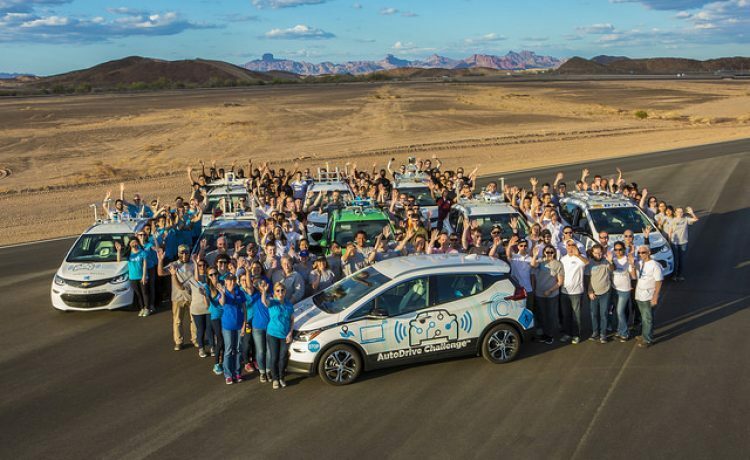 Student Engineers Participating in 3-Year AutoDrive Challenge Are Working to Invent Autonomous Vehicle Future. Educational initiatives, such as the AutoDrive Challenge, enable next-generation engineers to deepen their knowledge and gain hands-on experience with autonomous vehicle technology. The AutoDrive Challenge, organized by General Motors and SAE International, is a three-year competition in which student engineering teams from eight university programs are tasked with developing and demonstrating a fully autonomous passenger vehicle.